Since becoming the Ann Landers of pie, a fellow whose virtual doorstep is stacked high with assorted pie baggage and tales of woe from home bakers around the globe, I’m spending a good deal of time answering individual emails from Pie Academy members. I like this. I really do. It’s a chance to get to know you, make new friends, and find out what makes you tick as pie makers…and human beings. The best thing about your emails is that they have had a direct impact on the way I’ve started to develop content for The Pie Academy. For instance, it’s clear that the answers to your most frequent concerns and questions should be available in a “knowledge base” somewhere on the site that’s easy to find. Little Apple Pie: You’ll see a lot of little pies at The Pie Academy this year. They’re not. My bad. And I’m working on it. It’s also clear – based on what you’ve been telling me – that you find it very helpful when you can WATCH how key steps in the pie making process are done. So this “knowledge base” needs to include many more videos moving forward. However, these are longterm projects. And since they won’t be complete tomorrow, or even next week, I thought you might enjoy a sampling of the email questions and queries I’ve received lately, along with a snapshot of my replies – some of which you may find useful in your pie making. This isn’t meant to be an in depth pie making tutorial by any stretch of the imagination. But rest assured that I’ll be tackling these issues, and many more, in much greater detail in the future. So let’s go. PROBLEM (1): My pies are inconsistent. Or so says Tom, reflecting a common sentiment, citing that sometimes his pies turn out great and sometimes mediocre. SOLUTION: I told Tom to lighten up on himself: mine are inconsistent, too. Remember this: the “perfect pie” is a journey, not a destination. We can aspire to it, and sometimes come very close. But it’s an elusive ideal, and a moving target. The temperature, humidity, relative juiciness of our fruit, quirkiness of our ovens, and whether or not the phone rings in the middle of rolling – we can’t always control the things that impact our pie efforts. Go for it, but don’t expect perfection all the time. Not to sound all Dr. Phil and everything, but learn to love your less-than-perfect pies, the near misses, and downright ugly ones. Focus less on looks, more on enjoying the process. That picture perfect pie you see on the cover of a magazine has likely been constructed and doctored by a team of professional bakers and stylists, the food world’s equivalent of expensive cosmetic surgeons. Do you really want to try and compete with that? PROBLEM (2): I never know when I’ve cut the fat into the flour enough. SOLUTION: I usually hear this from home bakers who make pie dough by hand, using a pastry blender. Fact is, it can be a little tricky to tell when you’ve done enough cutting in. Conventional wisdom says to “cut until the fat is the size of peas” – but all the fat will never be the size of peas, all at the same time. What, then? My friend – the late Marion Cunningham – had an expression I loved. She used to say to cut until “everything looks like it has been touched by the fat.” That’s a great expression: touched by the fat. You shouldn’t see any “dry” flour, in other words. And the mixture will have small clods of fat, in various sizes, some the size of peas. Bottom line is this: when in doubt, cut in the fat more than you think it needs to be. Usually, the worst that happens is you wind up with smaller flakes in your crust. PROBLEM (3): I’m confused about how much water to add to my dough, or if I’m adding it too fast or too slowly. SOLUTION: If you really want to screw up your pie dough, be timid and tentative about adding water. Why? Because every time you add a little spoonful of water, and start mixing up the dough, you’re going to develop more gluten in the flour. Do this repeatedly, and your entire ball of dough will be tough and stretchy. At the risk of oversimplifying, just go for it. Don’t add the water in little spurts. Add virtually all of the water, all at once – just pour it here and there over the flour/fat – then stir briskly and confidently. If the dough doesn’t quickly pull together, add the rest of the water and finish mixing until it does. 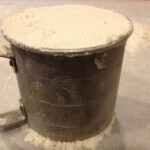 PROBLEM (4): How do I measure a cup of flour? Pie Academy member Ria and her baking friends, among others, are anxious to know. Do I weigh the flour? Or what? SOLUTION: I promised Ria I would make a video about this, and I will. For the moment, however – and I know admitting this is going to bring me a world of flak – I will say that I think weighing flour is unnecessary for home pie makers working on a small scale. 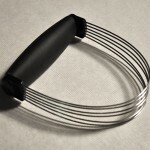 In fact, I’ll go so far as to say I think it’s a deterrent for many would be pie makers. I’ll explain why later. For now, suffice to say that I keep my flour in a large bin that I can get my hands into. 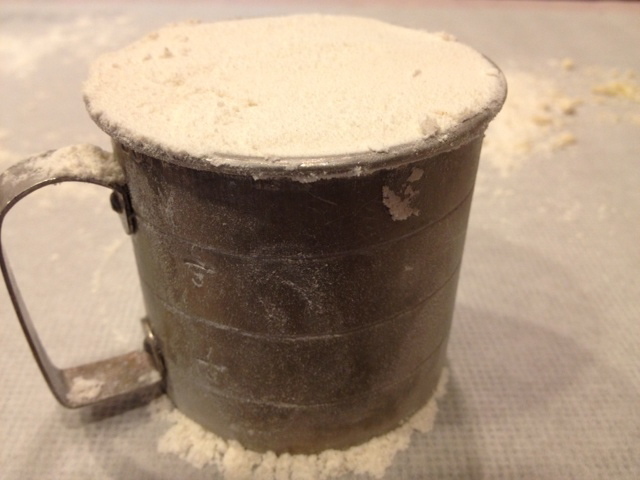 I “fluff up” the flour by hand; there’s no need to sift. Then I lift and deposit it into a 1-cup dry measuring cup, without packing it, and sweep the top level with my forefinger. This will really annoy some, but for incremental measures like one-third, one-half, or three-quarters of a cup, I use the same 1-cup dry measure and deposit the flour up to the correct line, eyeballing it and leveling with a fingertip. 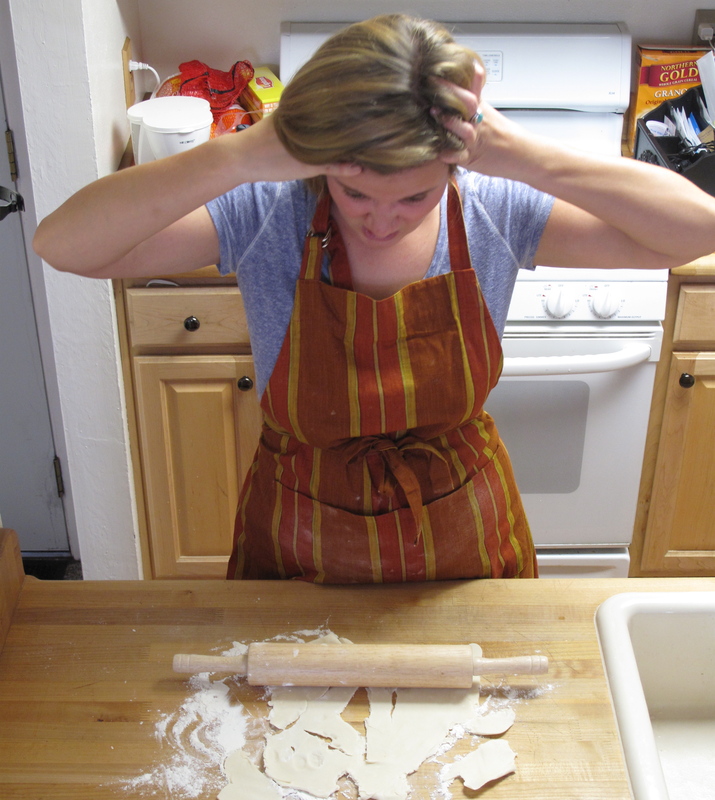 PROBLEM (5): My biggest problem is rolling the dough, says Pie Academy member Lisa. She says it always comes out too thin, or too thick, and as a result her edge is often fatter than she would like. SOLUTION: Success in rolling your dough is tied to many things, none more closely than temperature. In short, if your dough gets too warm, it becomes sticky and unworkable; good luck rolling it at all. Too cold, and you will find yourself working it too aggressively, inevitably resulting in a tough crust. When the temperature is just right – neither too warm nor too cool – you can roll your crust fairly thin without issue. I have a simple way of buying time and cooling down my dough when it gets too warm and sticky. 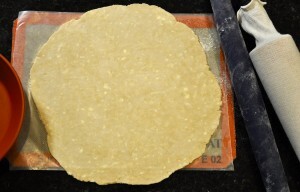 Since I always roll on wax paper, or sometimes parchment, if the dough gets too warm I simply slide the paper/dough onto a baking sheet and put it into the fridge for 10 to 15 minutes, to firm. Then I remove it, slide the paper onto my counter, and start rolling again. To see this little trick in action, watch how I do it in this recent video on how to make a fresh tomato tart. 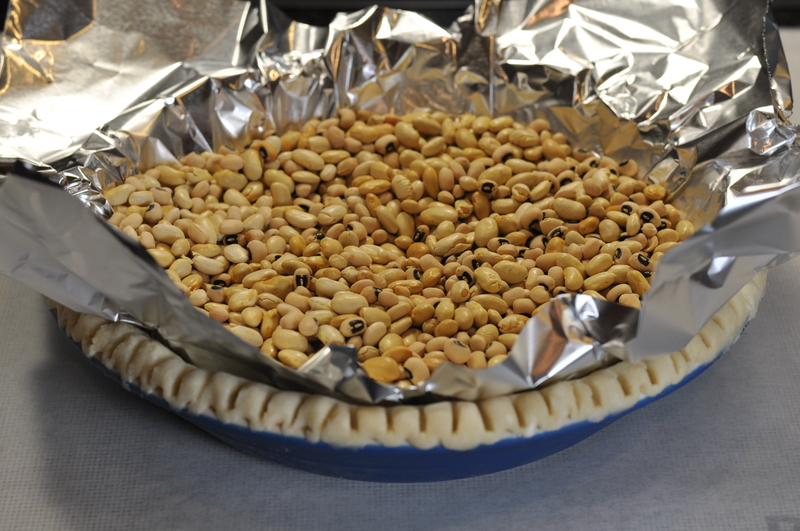 PROBLEM (6): Naomi writes: My pie crust always shrinks when I “blind bake” it – referring to pre-baking without the filling – whether I use dried beans, a pie chain, or pennies as a weight. SOLUTION: Naomi: you’re not supposed to be using pennies. It’s silver dollars, but only a certain type. You’ll need a hundred or so. Put all of them in a big box and send them to me, and I’ll make sure they’re the right kind. Actually, Naomi, if your dough isn’t right, you could weigh it down with an elephant and it will still shrink once you remove the weight during the pre-baking. (I promise to make a very detailed video to help alleviate this common problem.) When I talk about a dough that “isn’t right” I’m referring to one where something has likely caused the gluten – the protein in the flour – to activate and become stretchy. This could be the result of an incorrect balance of ingredients, how those ingredients were mixed, or the way the dough is rolled. We’ll go over all of these in a future video. Meanwhile, try this and see if it helps: cut all of the fat into your flour a little more thoroughly than you usually do; replace 1 teaspoon of water with 1 teaspoon lemon juice for every cup of flour in the recipe (just blend it into the rest of the water); add the water virtually all at once, like I talked about earlier; wrap your dough disk in plastic and refrigerate it for a full 2 hours before rolling. PROBLEM (7): My bottom crust does not brown as much as I would like, even if I start the pie on the lowest rack. SOLUTION: Unfortunately, the answer to this problem is at odds with the solution to another: what to do about pies that bubble up and over and spill into the oven. 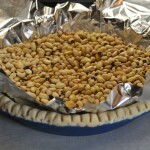 Various sources will instruct you to put your pie on a baking sheet or on top of a piece of foil. But the fact of the matter is, virtually anything you put under your pie is going to temper the heat and inhibit browning. That’s why I don’t recommend putting anything directly under your pie. Rather, use an oven liner – of the sort you can pick up at Bed Bath & Beyond – for the bottom of the oven. It will catch your spills, though you may still have to clean up the rack itself. If you’re still not getting the browning you like, consider your pan. 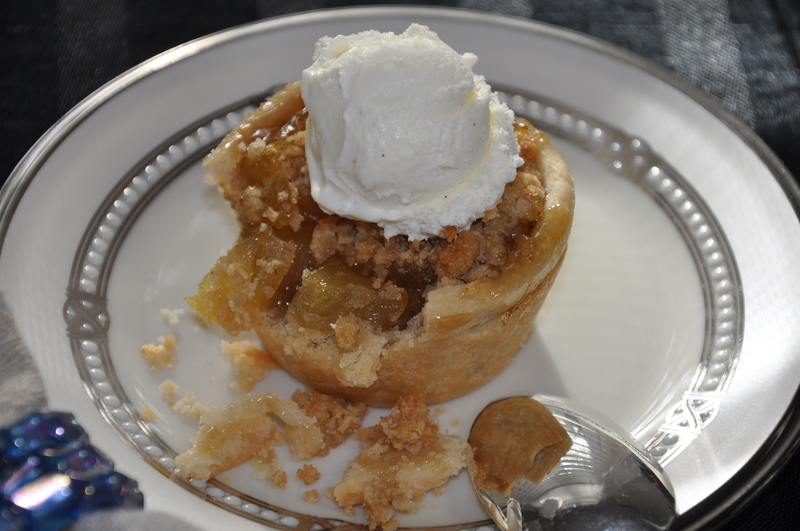 Pyrex will brown your crust, but it’s a little slow to heat up and may not do a thorough job with shorter bake times. Shiny metal pans are no good at browning. 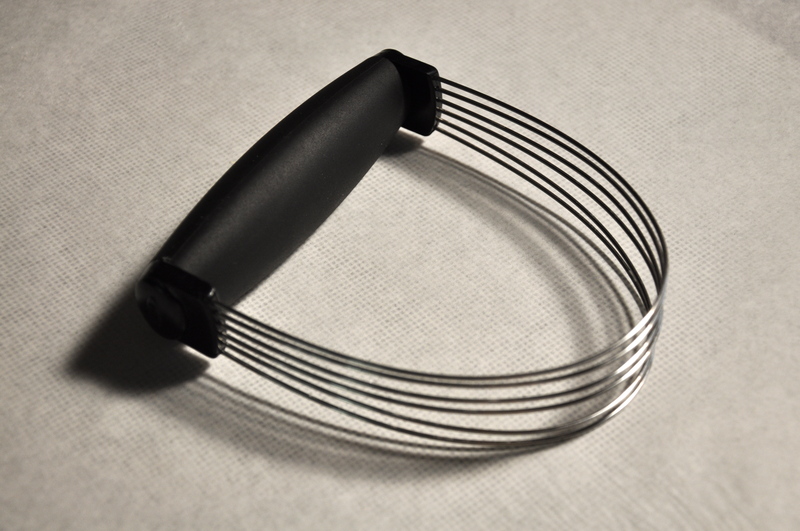 My favorite metal pan for pie baking is this one. PROBLEM (8): I think one area of pie baking which causes people angst is thickeners. I’ve spent more than a little time worrying whether I used enough or the right one. That was from Aidan, and I agree with the angst thing. SOLUTION: I told Aidan to stay tuned, that we would find ourselves in the thick of thickeners in good time. 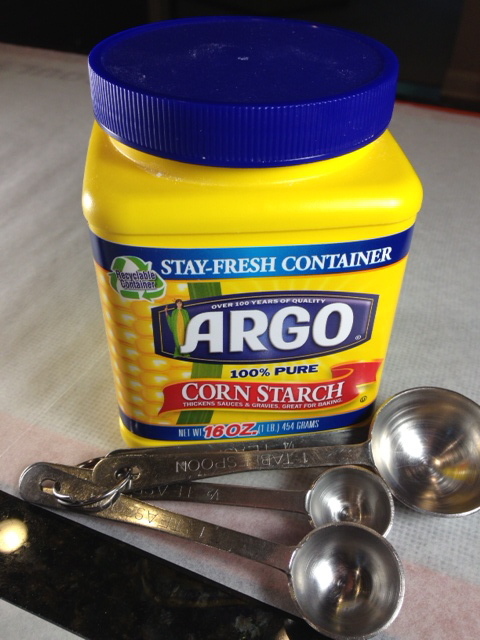 Generally speaking, I like to keep it simple: cornstarch or flour. Both have their detractors because they can leave fruit filling with a certain amount of cloudiness. But let’s be real here: we’re baking a pie, not painting the Sistine Chapel. Instant tapioca is an option, but if there’s not sufficient juice…or the juice doesn’t reach the proper temperature…it can remain gritty. As for how much thickener to use, it’s always a bit of a crap shoot because so much depends on the relative juiciness of the fruit you’re using. Ripe fruit in season is likely to require 25% more thickener than less juicy, out-of-season fruit. When in doubt about the amount of thickener to use, I tend to err on the side of a little too little than too much because I like a bit of juiciness in my pies. Even for juicy fruit pies, I seldom use more than 2 1/2 to 3 tablespoons cornstarch for a juicy fruit pie containing 6 to 7 cups fruit. PROBLEM (9): My biggest challenge is confidence. I’m too intimidated and I don’t have an in-charge attitude writes one very honest soul. SOLUTION: Confidence in pie making – as with so many other things in life – is built upon a foundation of small victories, which are only possible if you’re in the game to begin with. Confidence is also the ability to not be too attached to a certain outcome. You’re going to make great pies, and you’re going to make some duds, too. Accept that. 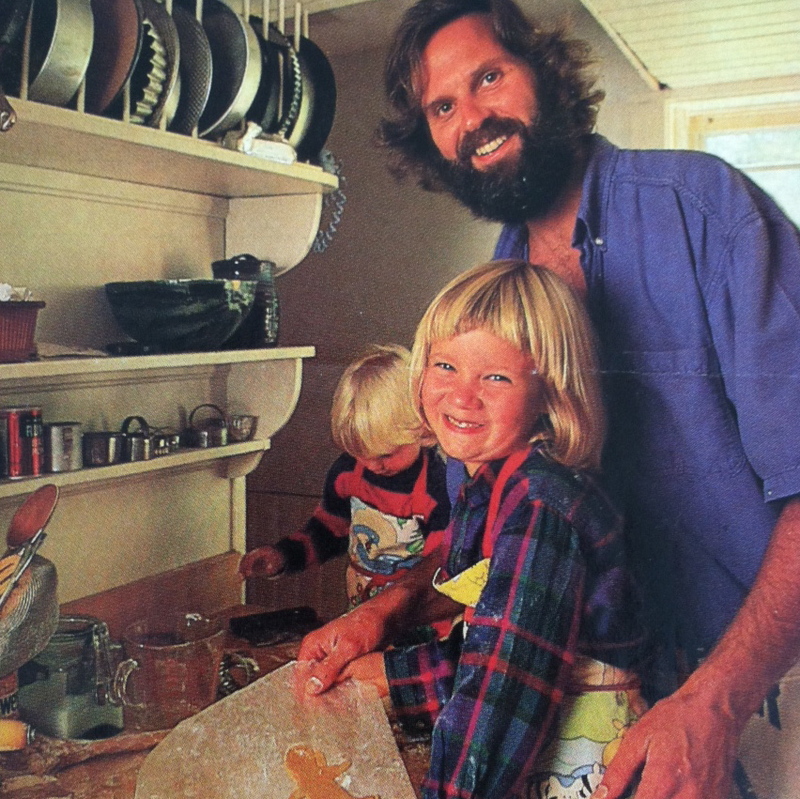 I had a wonderful pie mentor in my father. He never actually showed me how to make a pie. But I watched him often enough to learn some of the basics. Still, many of my first pies looked like I had dropped them repeatedly on the way to the table. It was my children who taught me to man up and shake off the setbacks. My youngest, Sam: Pop, what IS that? Me: It’s an apple pie. Sam: Oh. I thought pies were supposed to be round and have a crust and filling. That looks like a compost casserole. Daughter Ali (front) and the pre-wise guy Sam, baking at home in New Hampshire, circa 1991. If confidence is in short supply, I can only say: stick with it, and come here to The Pie Academy often. You’ll pick up things along the way that will bolster your confidence – a tip here, a technique there, and then one day it will all click for you. It’s been a real thrill to hear from a number of Pie Academy members who’ve said that the things they’ve learned here have made a real difference, helped them turn a corner and take huge strides with their pie making. That’s going to be you, too, so stay tuned.